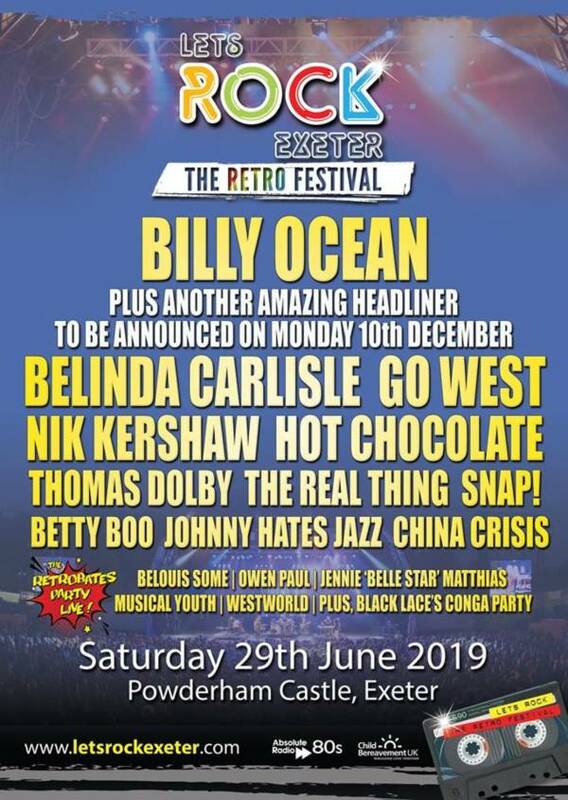 Let's Rock Exeter brings the the very best of the 80s, and an action packed day of general 80s madness, there is plenty to do for everyone at this Family Friendly Festival! Lots of attractions to keep the children happy, such as the free Bigtopmania circus, a super funfair including water rides and soft play areas, as well as children’s entertainers from BBC/ITV, Let’s Rock Exeter! offers the perfect day out for all the family. Multiple bars and a wide range of quality food outlets, selling everything from hotdogs to award-winning Tandoori, means every taste is catered for. Posh toilets will also be available for those that like a little bit of festival luxury plus a new, fantastic VIP package.